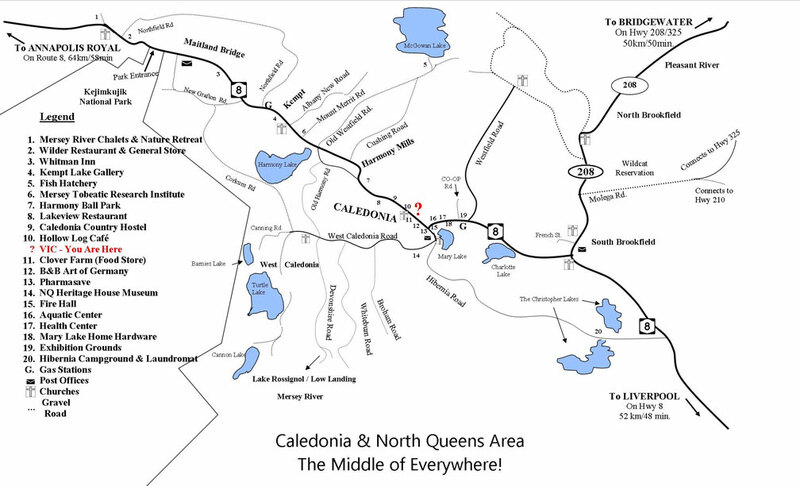 We Supply Tourism Information and Promotion of the Caledonia and North Queens area. We are always looking for new volunteers, our group strives to promote an interest in tourism, promoting Caledonia, North Queens and surrounding Area, as well as the rest of Queens County and Nova Scotia. Volunteers must have the ability to help with Fundraising efforts such as the 30 Mile Yard Sale BBQ and annual Dinner Theatre., as well as volunteering hours at the Visitor Centre would be an asset. Willingness to participate in provided courses such as Super Host, Service First, First Aid/CPR and Familiarization Tours of the area.